For all you turkey-for-Christmas-dinner people out there, I have a new method for you to try. It’s called, the upside down turkey, and it’s a juicy one. My aunt has sworn by this trick for years, and I’ve always thought it was a little silly until I finally gave in and tried it. 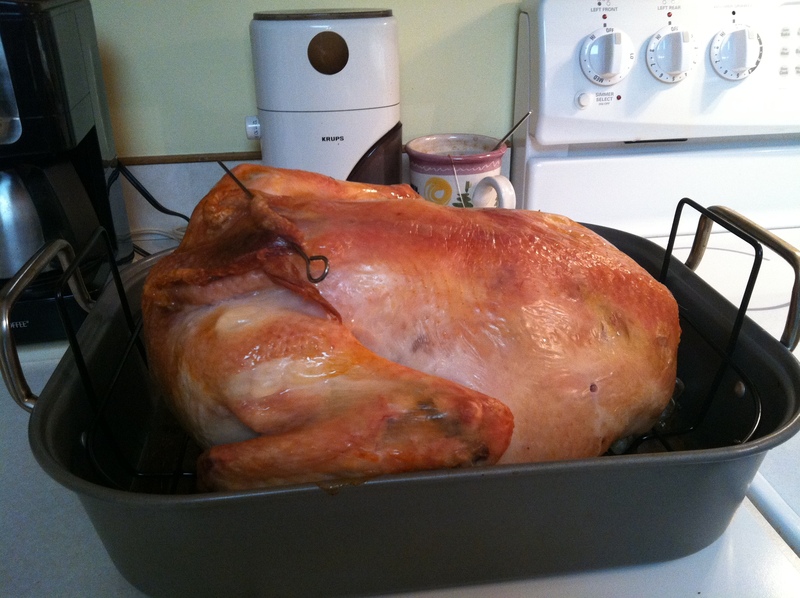 This was possibly one of the juiciest birds we’ve had at a Thanksgiving dinner! The hardest part of the whole thing is figuring out where to stick your meat thermometer. It can still be placed in the thigh, but to ensure no raw birds at the table, my mom and I had quite the adventure getting it flipped right side up again so we could replace the thermometer for the last 45 minutes or so and make sure it was cooked. Forwarning: a turkey covered in onion, lemon and garlic juices is delicious, but incredibly slippery. Roll over with caution. So if you’re planning to serve turkey at your next holiday feast, give the upside down turkey a try! It may vanish more quickly than your post-holiday-season-leftover fix might like. 1. Wash and prep your turkey. Make sure to take out all the inside fun bits (both front and back cavities) to ensure turkey roasting success. 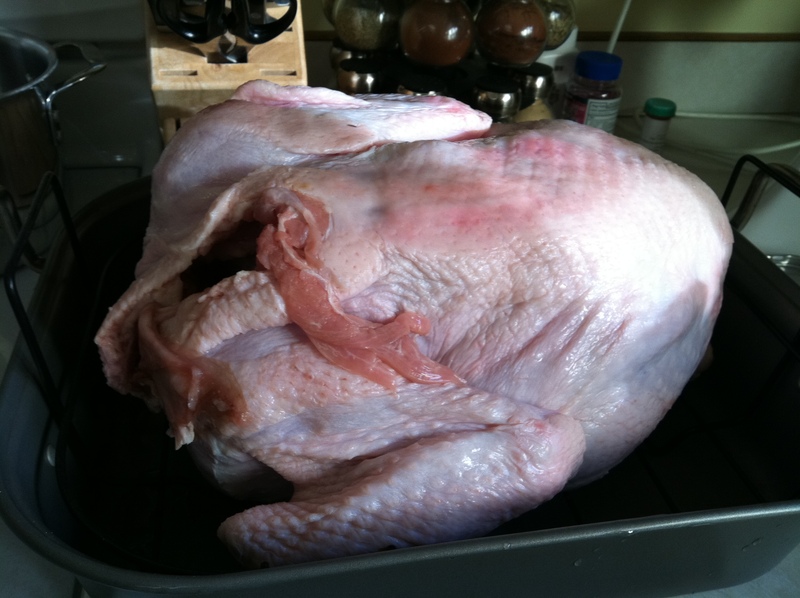 Place your turkey upside down in a roasting pan and tuck in the feet. 2. Peel and chop your onions. 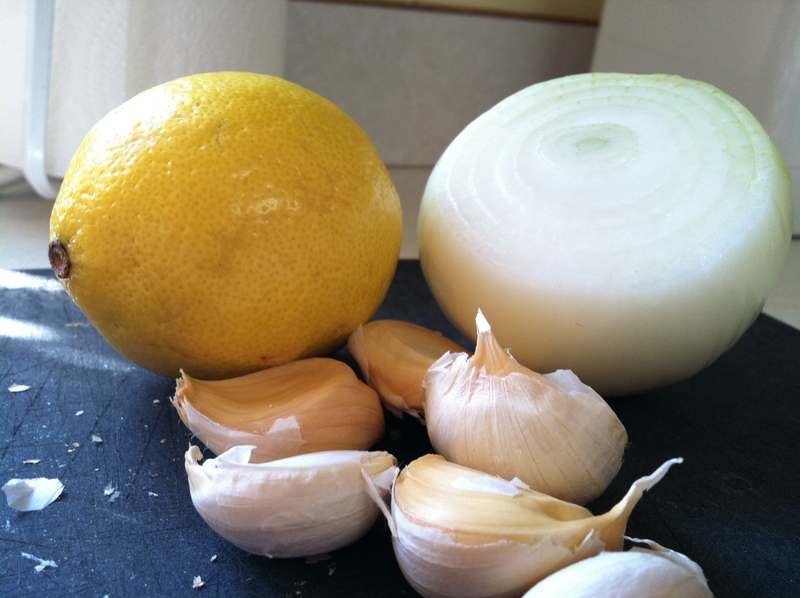 Chop the lemons and peel and separate the garlic. Stuff both cavities of the bird with your aromatics, stick in a meat thermometer and place the tasty fowl in the oven set to the desired temperature. 3. Cook as directed (depending on the size of your turkey) until about 45 minutes on your estimated cooking time remains. Remove the turkey from the oven and quickly (and very carefully!) flip the bird over to make sure the top is nice and golden as well. 4. Cook until it reaches the proper temperature (as directed on most packages), then remove from the oven and drape it with tin foil. Let it sit for 30 minutes to one hour to let the juices redistribute, then slice and serve!